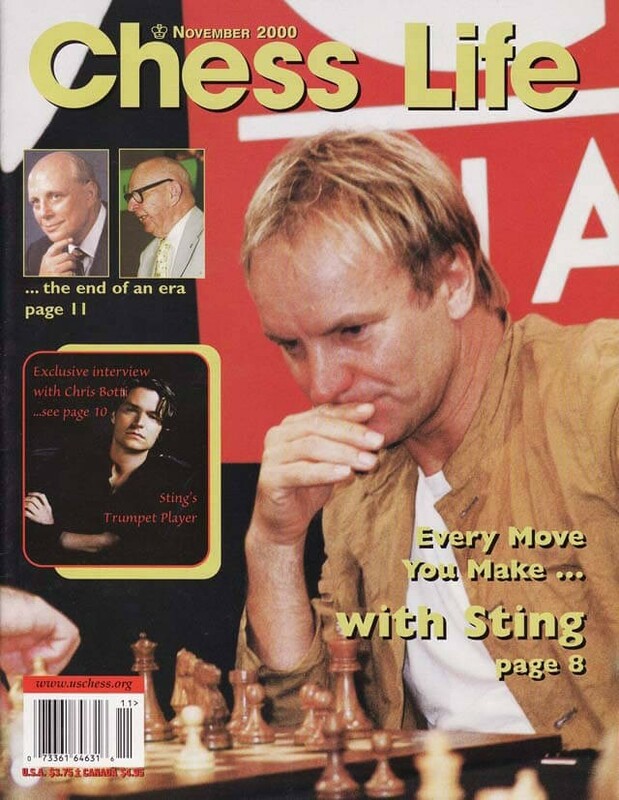 The November 2000 Issue of Chess Life Magazine features celebrity and chess-player Sting. There is an article where Garry Kasparov plays Sting and his band members in a celebrity match simul. There are also reports on the 2000 World Open, the Chesswise International, and the First Saturday tournament in Budapest.